“Ronnie Montrose Live At The Uptown”, a new DVD from the late great Ronnie Montrose, is coming in May. Montrose, who took his own life March 3 following a lengthy battle with cancer, was captured in concert this past January – for the one and only live DVD recording of his career. Ronnie and his band played the Uptown Theater in Napa, California, delivering a show that includes acoustic pieces, songs you never heard him perform before, and ones you haven't heard him do for years and years and years. Thanks to the fans and everyone involved, this was a magical evening for all - including Ronnie and his band. 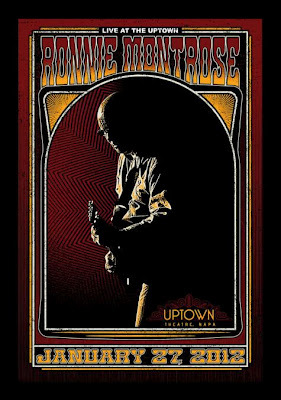 “Ronnie Montrose Live At The Uptown” is available through Ronnie’s website here.